The Selkirk College Faculty Association Standing Committee On Professional Excellence (SCOPE) committee is pleased to announce the recipients of its 2015/16 award: Gail Potter, Kay Armstrong, Mike Konkin, Duff Sutherland, and Doris Hausleitner. The College community is invited to help celebrate these worthy recipients at our annual SCOPE Awards Ceremony and reception on Thursday, September 29, 2016 from 5:00 p.m. to 7:00 p.m. at the Castlegar Campus in the staff lounge. Gail Potter, Nursing Instructor, was nominated for this award by her colleagues and by a student. 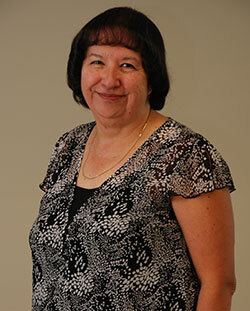 Gail started teaching at Selkirk College in 2007 and has taught in Years 1 through 3 in the BSN program. In addition to her contributions in the BSN Program, Gail has developed, coordinated and taught the online Advance Diploma in Gerontological Nursing. Currently, Gail is redeveloping this course in order to incorporate an inter-professional focus that includes other health professionals who work with the elderly. Gail has also co-developed and co-taught the face-to-face Post Graduate Gerontology Program for Internationally Educated Nurses at Selkirk College. In addition to the above, Gail is currently an instrumental member of the Selkirk Team that is working on a 3 year project with the COVAB, a school of nursing in Suriname. The aim of this project is to develop a post-basic, competency based gerontology program. The curriculum and associated competencies will eventually be used throughout the Caribbean region. Gail is also passionate about promoting access to high quality palliative and end of life care. For many years, Gail has been involved with the Trail Hospice Palliative Care Society in a variety of roles (Chairperson, Board Member, Volunteer and Employee). Gail was instrumental in bringing the federally funded palliative education program, Pallium, to Selkirk College. In this capacity, Gail has been able to educate nurses, physicians, social workers and pharmacists in the foundations of palliative care. Gail is also actively involved in scholarship and professional development. 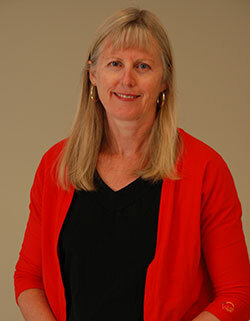 Gail’s expertise in curriculum development and palliative care practice were key assets in securing a Michael Smith Foundation Nursing Research Grant in collaboration with Dr. Barb Pesut from UBC. The findings of this study have been disseminated at professional conferences at the National level. Kay Armstrong, an instructor in the Human Services Programs has been recognized this year with a SCOPE Exceptional Performance Award. Kay has been a valued member of the Human Services team since 2005, teaching in both the SSW Certificate and HSER Diploma. Her colleagues wrote “From the day Kay walked into her position at the college, she has been critical in keeping the program student-centered and has been committed to working as a contributing member of our HSER team”, and “she is an excellent communicator, congruent in her values, able to give feedback to students and peers in a respectful, strength-based manner, and a leader." Students have noticed and appreciated her love of and rigor in teaching. “Kay’s expectations pushed me to do better and she has always made an effort to touch base with me when she noticed my stress." Another student from the International Gerontology program said the following: “Kay is a very dedicated instructor and has done her best to make her teaching effective for students. She has always supported us and has always given us importance and always appreciated us for being so courageous to come to a very different culture to study and succeed." A community member and past student wrote “I am so appreciative of Kay in my life. My time at Selkirk was a road with a huge crater. With the patience, kindness and support of Kay, I was able to not only carry on, but do so with honors." And what does ‘doing it all’ mean? Well, he took a team of students down to a Western Canada Regional Case Competition, he sits on numerous community boards such as Kootenay Savings Credit Union and Lower Columbia Initiatives Corporate, runs his own accounting and tax practice, ran tax clinics for students with his tax students, ran online Finance games for his Finance course, conducted innovation awards in his Management course, coached students in the Business Club, designed a new accounting software project so that students didn’t have to pay for a book, developed a new course for the RPM program, not to mention he does an awful lot of running, swimming, and biking as an Ironman athlete. Well done, and congratulations, Mike! Duff Sutherland, History Instructor for the School of University Arts and Sciences, will be recognized this year with a SCOPE Award for Exceptional Performance. 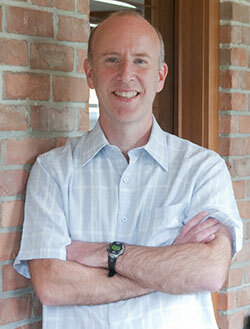 Duff has been a History Instructor with the School of University Arts and Sciences at Selkirk College since 2000. He has served on many college committees and has contributed to the community by giving lectures on various historical/literary/native studies topics. 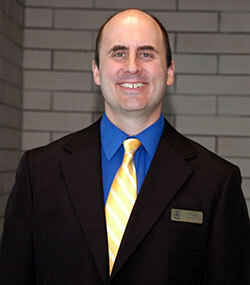 He has served as chair of UAS and is currently the Chair of the Curriculum Committee (5 years!) and the President of the SCFA. Duff is also an active member of the History articulation committee and this year hosted the meeting at the 10th street campus. Outside of the College, Duff has been active in the community with his contributions to local history projects and the study of history provincially. One community member praises his involvement in the development of a local park along the Brilliant area. He is part of a committee that is getting the area designated historically, and current signs are being designed and constructed with much input from him. “He is not afraid to reach beyond his role as a College instructor, and over the years he has involved himself in many such projects.” Other community members describe Duff as an excellent ambassador for Selkirk College and very deserving of recognition. Doris Hausleitner joined Selkirk College in the School of Environment and Geomatics four years ago and has been impacting the quality and depth of programming ever since. Doris is a working wildlife biologist and brings her research and connections to her students through various projects such as the Nelson Waterfront Restoration Project and more recently the Arrow Lakes Restoration Project. Doris continues to run her own consulting business and is a very active contributor to the local cross country ski community as coach and competitor. Doris is very generous with her time and energy and promotes both professionalism and the importance of having fun, in and outside the classroom. The SCOPE Awards Ceremony, sponsored by the Selkirk College Faculty Association, will be held on Thursday, September 29 from 5:00 p.m. to 7:00 p.m. in the Faculty Lounge. All are invited to attend.